Kevin is a Financial Adviser with Eagle Strategies, an agent of New York Life Insurance, and a valued Partner of our firm. His central focus is helping successful individuals, families, and business owners grow, protect, and transfer their assets. Kevin’s core competency is investment management and financial planning. His passion for these topics leads to thorough and well-researched plans and ideas for the people he works for. Kevin’s approach to investment management and financial planning is to work hand in hand with his clients to demystify complicated financial concepts. Through client education, goal discovery/establishment, and trust, Kevin is able to assist clients in achieving their financial goals. Kevin is a Washington native, having grown up and attended school south of Seattle. He has advanced his mastery throughout over 25 years of experience and education working within a changing financial industry in different capacities. Kevin holds his FINRA Series 6, 7, 63, 65, and Life and Disability Insurance licenses from the State of Washington. Through continuing education courses, elective trainings, and staying power, Kevin continuously distinguishes himself within the financial trade. Laurie is a Financial Adviser with Eagle Strategies, an agent of New York Life Insurance, and an esteemed Partner of our firm. Laurie aims to bring clarity and comfort to individuals, families and businesses, while combining her head and her heart in service of the people she works for. Laurie’s core competencies are financial planning, estate planning, and retirement planning. Her detailed and steadfast “client-first” approach helps her clients to envision and achieve their financial plans within a comfortable learning environment. 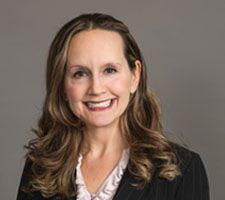 Laurie is a fourth generation Seattleite and received her BA from the University of Washington, Henry M. Jackson School of International Studies. Laurie is a Legacy Council member of Seattle Children’s Hospital and regularly participates in other volunteer work in her community. She has worked in the public, private, and non- profit sectors both nationally and internationally. Laurie holds her FINRA Series 6, 7, 63, 65, and Life and Disability Insurance licenses from the State of Washington. She is dedicated to expanding on over 20 years of business experience through continuing professional education courses. 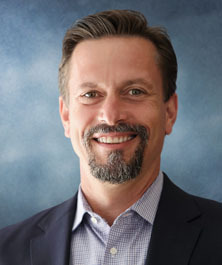 Curt is a Financial Adviser with Eagle Strategies, an agent of New York Life Insurance, and a valued Partner of our firm. He has a passion for designing the integral plans that help individuals, families, and businesses simplify their unique and complex needs. Curt’s core competencies include: asset accumulation, income generation, insurance planning, estate planning, and tax efficiency. His hyper-focused and detail-oriented approach helps him to lead his clients through complex financial situations with a clear plan and goal in mind. Curt is a lifelong Seattle area resident and received his BS from the University of Washington. He holds his FINRA Series 6, 7, 63, 65, and Life and Disability Insurance licenses from the State of Washington. Throughout his over 18 years of service in this industry, he has earned the highly regarded designation of Certified Financial Planner (CFP®) and has completed coursework in a multitude of subject areas to better serve his clients. Tim is a Financial Adviser with Eagle Strategies, an agent of New York Life Insurance, and an esteemed Partner of our firm. Tim provides peace of mind to individuals, families, and business owners by creating concrete financial plans and coaching them towards achieving their goals. Tim’s core competencies include: asset growth and protection, investment management, income planning, retirement planning, and estate planning. Tim’s adaptable and modern approach allows for straight-forward and honest communication of needs and goals between advisor and client. Tim is a lifelong Seattle area resident and received his BA in Finance from the University of Washington. 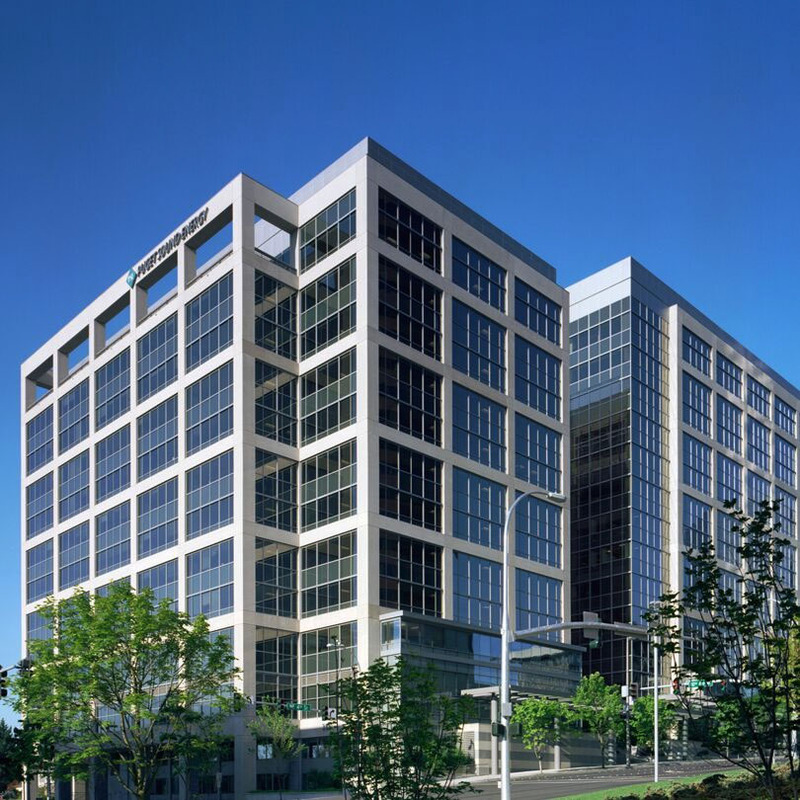 He holds his FINRA Series 6, 7, 63, 65, and Life and Disability Insurance licenses from the State of Washington. 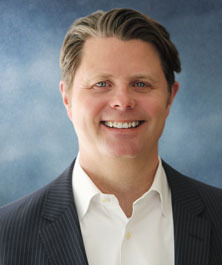 Over his almost 10 years in this industry, Tim has earned the highly regarded designations of Certified Financial Planner (CFP®), Chartered Life Underwriter (CLU®), Chartered Financial Consultant (ChFC®), and Chartered Advisor for Senior Living (CASL®). He keeps his education up to date through strategic continuing education courses and certifications. Marissa is a Registered Service Assistant with NYLife Securities and the Operations Manager of our firm. She specializes in investment operations and overall management of our practice. Marissa creates the operational infrastructure to execute plans created by the partners of our firm. Her commitment to world-class client service and attention to detail make her integral to the team. Marissa is originally from Eastern Washington and received a BA in Mathematics and a BA in Communications from the University of Washington. She came to us as a fourth-generation financial advisory member, holding her FINRA series 7, 63, and Life and Disability Insurance licenses from the State of Washington. Shelly is a Licensed Service Assistant with New York Life and our firm. She provides support for new and existing clients, processes applications, performs service work and is essential to the day-to-day operations of our office. 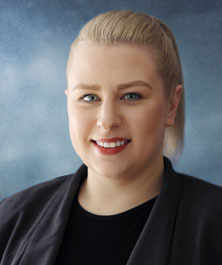 Shelly strives to deliver world-class client service in her daily interactions through personal connections with clients and a commitment to diligence. Shelly is from North Seattle and received her BS in Business Administration from Biola University in Southern California. Building on her degree and skillset, she acquired an Administrative Assistant Certificate from North Seattle Community College. Shelly furthered her education in our industry by obtaining her Life and Disability Insurance licenses from the State of Washington. 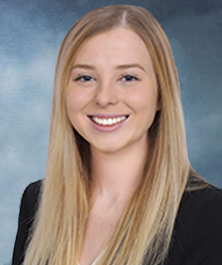 Kayelynne is a Licensed Service Assistant with New York Life and our firm. 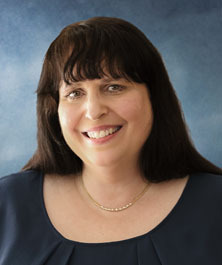 She works with new and existing clients to process life insurance and annuity applications and perform service work. Kayelynne is fundamental to the day-to-day operations of our office. She is dedicated to providing world-class service to clients with an eye for detail and a smile. Kayelynne is a Pacific Northwest Native, having grown up and attended school in Snoqualmie, Washington. In her just over one year with us, she has studied for and obtained her Life and Disability Insurance licenses from the State of Washington. Lilly is an Administrative Assistant with New York Life and the Finance Intern of our firm. She focuses primarily on maintaining our databases and cataloging information into eMoney, our financial planning software. 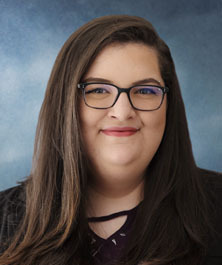 Lilly is a utility team member who is able to learn quickly and address client needs in an organized way while providing world-class customer service. Lilly is a Washington Native and is in her senior year at the University of Washington. She is completing a degree in Communications and studying Business and Marketing. Her long-term goal is to develop her financial training and expertise for work in the public and non-profit sectors. 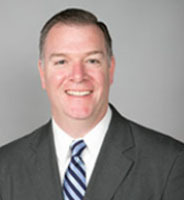 Tim Farrell is a Corporate Vice President and Portfolio Specialist with Eagle Strategies, a subsidiary of New York Life, and is responsible for analyzing financial statements and offering guidance in positioning asset managers in client portfolios. 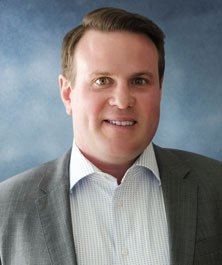 Prior to joining Eagle Strategies in 2015, Tim was a Senior Director at Oppenheimer Asset Management where he partnered with financial advisors to present investment solutions to prospective clients and client portfolio reviews to their high-net-worth and institutional clients. Tim has over 15 years of investment experience and earned a BBA in Business Management from Hofstra University. Tim is FINRA Series 7 and 65 licensed. 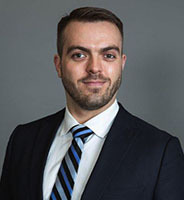 Gabe Bonebrake is a Senior Associate and Internal Consultant with Eagle Strategies, a subsidiary of New York Life, and is responsible for providing customized wealth management solutions to advisors and their affluent clients. Gabe joined Eagle Strategies in 2011 as a member of the Operations team responsible for training advisors and home office personnel on the use of Envestnet, developing tools to ensure a smooth workflow in all operational areas, and leading the transfers process to develop and employ strategies to increase asset transition from external sources. Gabe earned a BS from Kansas State University with a dual major in Financial Services and Financial Controllership. Gabe is FINRA Series 7 and 66 licensed and has earned seven LOMA designations, including CERT, FLMI, FFSI, ACS, AAPA, AIRC, and ARA. 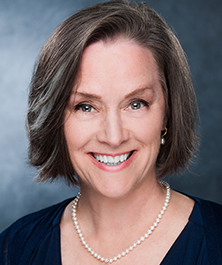 Veronica Pine is a Corporate Vice President and Financial Planning Specialist with Eagle Strategies, a subsidiary of New York Life, responsible for supporting Eagle’s advisors with financial planning case development, coaching, and financial planning best practices. Veronica’s areas of expertise include estate and charitable planning, executive benefits, insurance, business, and retirement planning. Prior to joining Eagle Strategies in 2014, Veronica worked at UBS, Merrill Lynch, and was also a Wealth Advisor with USAA Wealth Management. Veronica has over 15 years of client-facing financial planning experience with high- and ultra-high-net-worth clients and the industry’s leading financial advisors. Veronica graduated from Siena College with a BS in Economics, is a CFP® and ChFC® charterholder, and is FINRA Series 7 and 66 licensed. 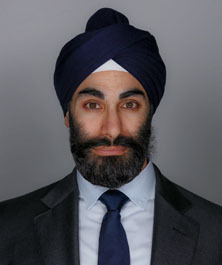 Ari Shah Singh, J.D., M.A. Ari Shah Singh, J.D., M.A., is an Advanced Planning Consultant with New York Life Insurance Company. A diligent and thoughtful specialist, Ari collaborates with agents and their affluent clients to develop customized estate and business planning options. As a legacy agent, Ari is skilled at assessing client needs and implementing sophisticated insurance-based solutions. Ari researched and authored scholarly papers working with a renowned Washingtion DC think tank; and, drafted legal documents and analyzed business contracts as a practitioner. Ari earned his law degree from The Pennsylvania State University, The Dickinson School of Law; and, his Master of International Affairs degree from The Pennsylvania State University. Laurie Adams (CA Insurance License #0K60779), Tim Chryst (CA Insurance License #0H80247), Curt Lightle (CA Insurance License #0F98842), and Kevin Peterson (CA Insurance License #0G81526) are agents collectively licensed to sell insurance through New York Life Insurance Company and may be licensed with various other independent insurance companies in the states of AZ, CA, DC, ID, IL, MA, NC OR, TN, UT, WA and WI. No insurance business may be conducted outside of these states referenced. Neither The Summit Partners nor New York Life or its subsidiaries and affiliates provide tax, legal or accounting advice. Please consult your own tax, legal or accounting professional regarding your particular situation. 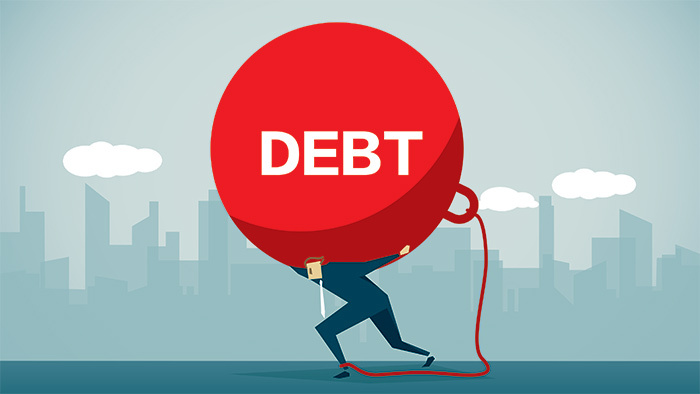 Laurie Adams, Tim Chryst, Curt Lightle and Kevin Peterson are collectively Financial Advisors offering investment advisory services through Eagle Strategies, LLC, A Registered Investment Adviser, in the states of AZ, CA, DC, ID, IL, MA, NC OR, TN, UT, WA and WI. As such, these services are strictly intended for individuals residing in the states referenced. Laurie Adams, Tim Chryst, Curt Lightle and Kevin Peterson are collectively Registered Representatives of and offer securities products and services through NYLIFE Securities LLC, Member FINRA/SIPC, a licensed insurance agency. In this regard, this communication is strictly intended for individuals residing in the states of AZ, CA, DC, ID, IL, MA, NC OR, TN, UT, WA and WI. No offers may be made or accepted from any resident outside the specific states referenced. The Summit Partners is not owned nor operated by New York Life Insurance Company or its affiliates.